Why would I need self storage in Ormond Beach, FL? There are a variety of reasons why you might need self-storage in Ormond Beach, FL. How much is a storage unit in Ormond Beach, FL? The cheapest storage unit in Ormond Beach, FL is $62.00 per month. What size storage units do you have available in Ormond Beach, FL? In Ormond Beach, FL we have sizes that range from 5'x5' to 10'x15' to suit your storage needs. How much is it for a 5'x5' storage unit in Ormond Beach, FL? The cheapest 5'x5' storage unit in Ormond Beach, FL is $62.00 per month. 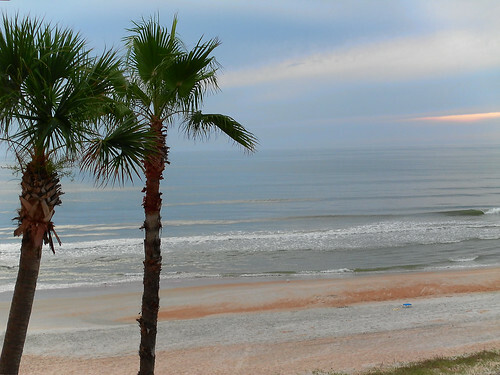 Located just north of Daytona Beach, Ormond Beach is a vibrant beachfront city on the Atlantic Coast. The city is known for its sandy beaches and resorts, as well as world-class golf courses and stunning natural scenery. The Ormond Beach area boasts dynamic recreational opportunities, a diverse economy, its historic Granada Boulevard and spacious homes that have attracted a large population of young families. The Timucuan Native American tribe counted the Ormond Beach area among their territorial lands, but never established any major settlements there. In 1643, a group of Quaker colonists were attempting to reach the New England coast when they were blown off course, landing where present-day Ormond Beach now sits. Theirs was the first settlement in the area, and the land eventually passed hands to the Spaniards and later, the British. In 1880, the town was incorporated as Ormond, named for an early plantation owner in the community. It benefited from the boom in Florida tourism following the Civil War, and attracted many elite tourists with its white sand beaches and warm weather. The well-known Ormond Hotel was constructed, hosting several famous guests, including John D. Rockefeller. Rockefeller enjoyed vacationing in Ormond so much that he purchased a winter home there, which he would continue to use regularly for the rest of his life. In 1902, Ormond began to develop its reputation as the "Birthplace of Speed," as beach racing started to grow in popularity. It served as the site for several record-breaking motorcycle and car races, as well as a popular testing location for new auto inventions. In 1949, the city was renamed Ormond Beach. Image via Flickr by . :[ Melissa ]:. Ormond Beach and the surrounding Volusia County have a diversified economy that's supported by a wide range of industries, including a number of businesses in the education, health care, manufacturing and business services sectors. If you're going to be looking for a job in Ormond Beach and the surrounding area, you have plenty of options from the city's largest employers, which include Volusia County Schools, Daytona State College, Halifax Health, Boston Whaler, Covidien and US Foods. Whether you have experience in health care, education, manufacturing or a number of other industries, the healthy job market in Ormond Beach makes job hunting significantly easier. The metro area's fastest-growing industries include professional and business services, manufacturing, and education and health services, which is good news if you work in these fields. Schools in Ormond Beach fall under the jurisdiction of Volusia County Schools. There are a few private schools you can consider as an alternative option to public education. Private campuses include both faith-based and secular schools. The nearest colleges and universities are generally located in Daytona Beach, like Daytona State College and Embry-Riddle Aeronautical University, Daytona Beach. Utilities: Water and sewer services are facilitated by the city utilities department. The area's primary energy provider is Florida Power & Light. Garbage and Recycling: Your trash will be collected twice weekly, while recyclables and yard waste will be picked up once a week. Transportation: Ormond Beach is included in the Volusia County Public Transit network, which provides public transportation in Ormond Beach and the surrounding communities. In Ormond Beach, the priciest and most desirable homes are generally located on the Halifax River or Tomoka River waterfront. If you're looking for affordable homes, those are typically situated along major roads like South Yonge Street and North Nova Road. When comparing the median home prices of Ormond Beach and the Daytona Beach metropolitan area, you'll find Ormond Beach to be slightly more expensive. However, there are a number of properties to choose from, whether you want to rent or buy, so you can find something to fit your needs and budget. Our lowest priced units in Ormond Beach, FL average $62.00 per month. 59 people have reserved units in Ormond Beach, FL in the past 30 days. There is 1 location within Ormond Beach, FL's city limits. There is 1 location in Ormond Beach, FL that offers AC and Heating features.